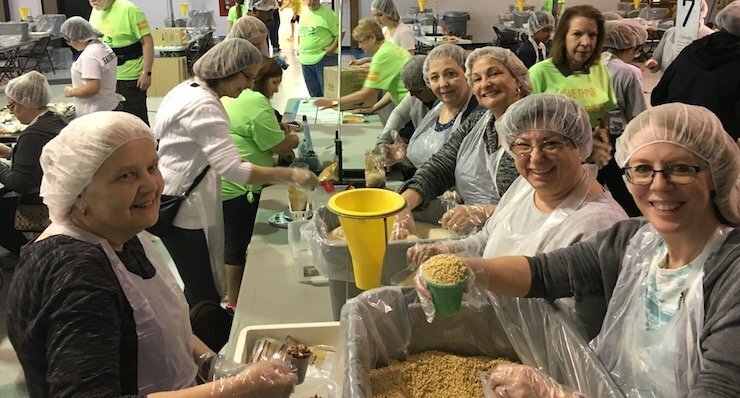 Help us pack 160,000 Meals for Haiti on Saturday on June 2, 2018 at James McDivitt Elementary School in Old Bridge, NJ. 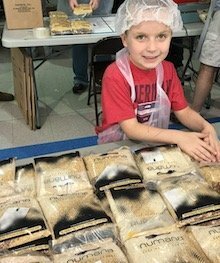 Good Shepherd is once again partnering with Numana, Mission of Hope, Haiti, and James McDivitt Elementary School to prepare meals for children in Haiti. Last year, we packaged 80,000. This year we hope to double that goal and package 160,000. Volunteers at our 2017 event. We packaged more than 80,000 meals. Here are a few of the details. A Numana Meal costs 30¢ to prepare, package, and ship. It costs $48,000 to distribute 160,000 meals. They will be packaged in 744 boxes. 1 box feeds a family for 2 months. These meals contain rice, soy protein, freeze-dried pinto beans and a blend of vitamins and minerals targeted to help the immune system of malnourished people. The meals will be delivered to Mission of Hope, Haiti where they will be distributed to those most in need. 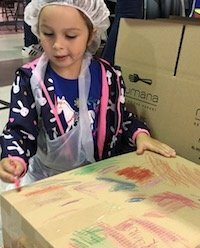 Children helped to add color to the boxes for the meals. It will cost $48,000 to package, ship, and deliver these meals. 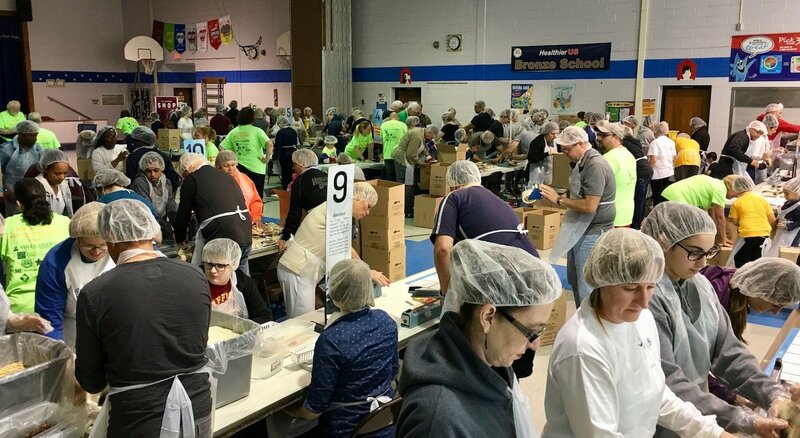 It works this way: the 160,000 meals will be packaged in 744 boxes. One box will feed a family for 2 months. The cost of a box is $65. Think about that. You can feed a family in Haiti for two months for less than what it costs you to take your family out to dinner at a restaurant. This is where we ask your help. Would you prayerfully consider making a difference by purchasing a box for $65. Instead of going out to dinner, your family might decide to eat in for the night. Another idea is to figure out a way to eat off of $65 dollars this next week. Take the money you would have normally spent on food and contribute it towards the purchase of a box. We have 744 boxes to purchase. The more boxes we raise funds for, the more meals we will be able to pack. We would love your help to make this possible. To donate, click the button below. There were volunteers of all ages! Even if you are unable to financially contribute, we will be looking for 600 volunteers for the day of the event. So mark your calendar for June 2. You can volunteer at the Numana website. The great thing is that anyone can volunteer for this event. It doesn’t matter how old or how young you are. This is a great opportunity for you to work together with your children to make a difference and teach them a valuable lesson about the great need in this world. We thank you for your partnership in this undertaking.